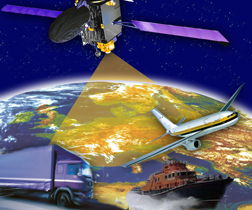 The European GNSS Supervisory Authority has awarded Logica, a UK-based IT and business services company, a framework contract for the provision of security for the Galileo program. The framework contract will run for up to four years and will enable the GSA to procure specialist support for the analysis and definition of security aspects related to Galileo with a shortened procurement cycle. It was awarded after a competitive tender and positions Logica as the preferred supplier for Galileo security, according to the company. The contract will initially see Logica deliver support in defining guidelines and rules for the management of Galileo services in the countries eligible to participate in Galileo. Logica will also be responsible for the definition of technical requirements for security-related activities, and for defining an Information Security Management System within the GSA. Other support work within the scope of the framework contract includes definition of a Galileo security policy including identification of applicable international standards; support in the drafting of security agreements with non-European countries, threats and vulnerabilities analysis and risk assessment of system assets and services; legal expertise and analysis of the security rules at national and EU levels, and analysis and definition of guidelines for setting up and EU GNSS export control policy. The announcement is the latest in a stream of space security contracts awarded to Logica. With over €40 million in security contracts for Galileo alone, and further work being delivered on GMES, EGNOS and Skynet 5, Logica has one of the world’s largest teams of experts in space security.